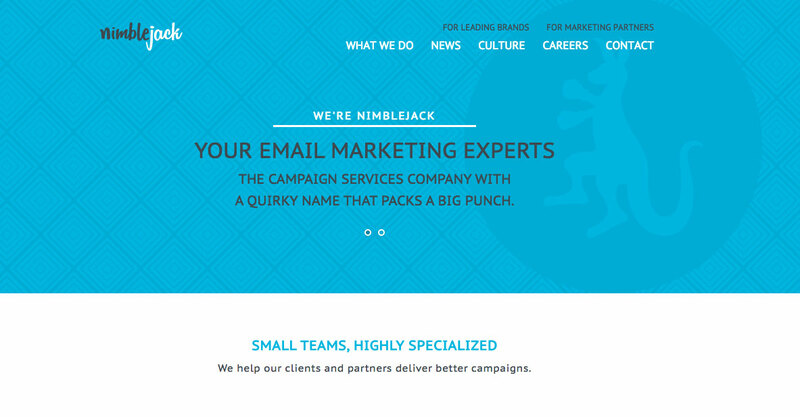 nimblejack is an email campaign services company that packs a big punch. Their small, highly-specialized teams provides innovative digital marketing solutions that drives business forward via technology. They provide the software solutions and the services to ensure your success with it. Clients include Disney, Marc Jacobs, Oxford University Press, Michael J. Fox Foundation, Interstate Battery, NBC –Universal Studios, Starbucks, Best Buy, AARP, Lexus, Lowe’s Home Improvement and Oakley. 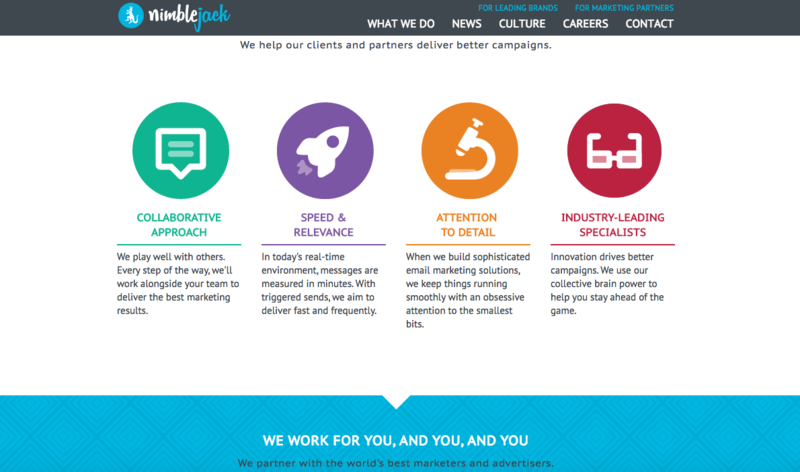 nimblejack was founded in 2013 and was spun off from the Marketing Agency xiik. Topher Overstreet, Founder and CEO, spun off nimblejack after realizing that providing email marketing services was in huge demand and was a niche business in itself. nimblejack has been aligned with ExactTarget for years and has continued that partnership with Salesforce after Salesforce acquired ExactTarget. Since the acquisition, Salesforce has rebranded the software as the Salesforce Marketing Cloud, which includes Email Automation, Mobile Marketing, Social Media management, and a Web platform. Before Salesforce ended it’s Services Partner awards program, nimblejack was awarded the prestigious award of The Marketing Cloud Services Partner of the Year. 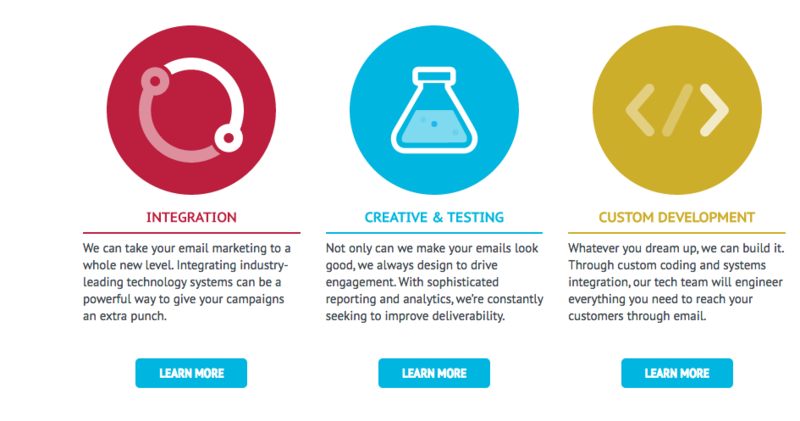 Are you looking for an nimblejack alternative for your email marketing? We listed some nimblejack alternatives. From implementation to strategy to technical consulting, nimblejack is here to get the results you’re looking for. Nimblejack’s team will figure out the best mix of tools to set you on the right path. nimblejack starts with getting to know your business and marketing goals. From there, they'll create a vision to strengthen strategy with actionable recommendations for current programs. nimblejack will take a look at what you're currently doing under a microscope. From overhauling features to making small tweaks, they'll identify key areas of opportunity. They'll work with you to clearly identify success metrics and key performance indicators. 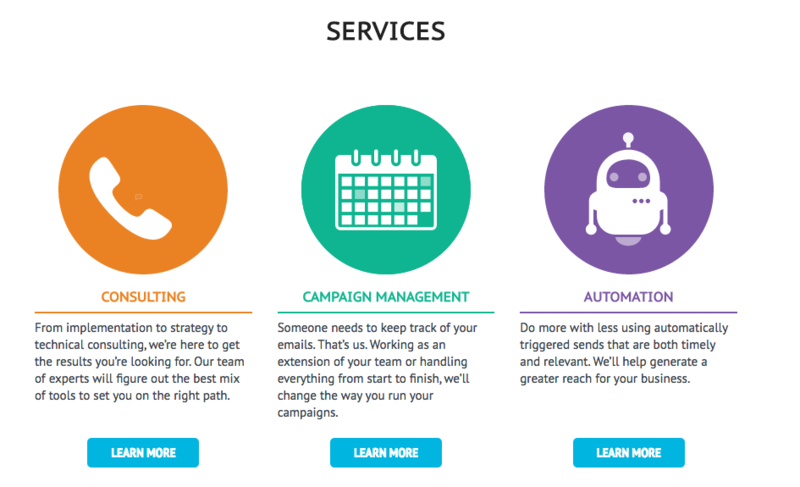 nimblejack will take your existing data and lists to set up the right combination of tools necessary to improve your campaigns. From API setup, data architecting, partner integration and segmentation modelling, they'll handle the details. nimblejack wants to be an extension of your team, and they want to enable you to take advantage of platforms and technology to achieve your goals.